This week I'm spotlighting a title that I haven't seen pop up on anyone else's feeds... 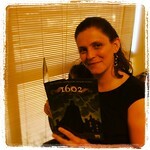 It's a realistic fiction story, and something about the main character resonated with me. Source: I received a copy of this book from the publisher for review, in exchange for my honest thoughts. Goodreads Summary: Seventh-grader Sierra Shepard has always been the perfect student, so when she sees that she accidentally brought her mother's lunch bag to school, including a paring knife, she immediately turns in the knife at the school office. Much to her surprise, her beloved principal places her in in-school suspension and sets a hearing for her expulsion, citing the school's ironclad no weapons policy. While there, Sierra spends time with Luke, a boy who's known as a troublemaker, and discovers that he's not the person she assumed he would be--and that the lines between good and bad aren't as clear as she once thought. I completely identified with Sierra - the conscientious student who always tries to do what is right. I think that's what made it almost stressful to follow the events in the story! I was that "goodie-goodie" girl in school, and would have made many of the same choices she made. I liked how relevant it is to today - I can easily see this happening. 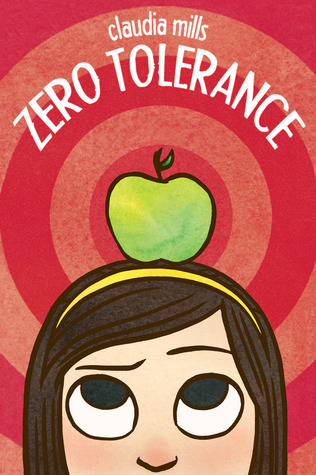 Zero tolerance policies have been used to punish kids for really dumb things. I liked that she made a really bad choice along the way, and I like how she handled the fall out from her choices. Sierra has her eyes opened to a world outside her own little "good kid" bubble, and she ends up better off for it. Yet it was done in such a way that I didn't feel like the lesson in the story was delivered in too heavy-handed a way. The only thing that I see as a downside in this book is that it may not hit MY class target audience. Sierra is in seventh grade. There is some cursing - not too much. The actual reading level of the book may be a bit too easy for my older students (strong 5th grader readers) to really get into, but the story may be slightly too old for my younger kids. Sierra seems to act a bit young for a 7th grader - but I'd be curious to hear how teachers of older students perceive her. In spite of that, I think there is a lot of fodder for discussion in this book. Can people get punished for "doing the right thing"? Is it ever fair to have hard and fast rules and consequences? 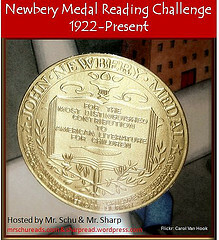 Best for: Upper elementary or early middle school. I will absolutely put this one in my classroom library. 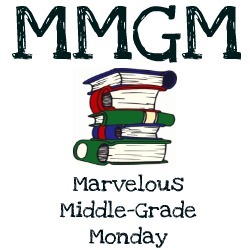 Check out other reviews for middle grade readers - collected at Shannon Messenger's blog each Monday.